Sara-Jane has recently competed in her first two Open Powerlifting competitions where she earned 1st and 2nd place and as well earned a qualifying total to compete at the Regional and Provincial level in powerlifting in August and November of this year. She then plans to compete on the National stage in March of 2019. 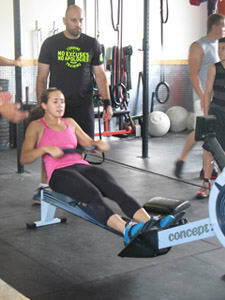 She first developed her love of the barbell through CrossFit 6 years ago and has not looked back since. To her, lifting and being strong is empowering in all aspects of your life. She is passionate about encouraging people to learn to lift and believes that all levels of lifters have something to learn and can always improve and grow. 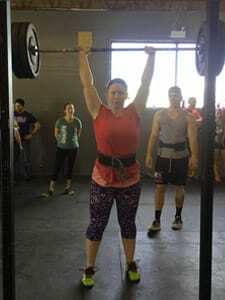 Since shifting her training to powerlifting and strongman movements in 2017, she has added 75 lbs to her overall total in less than a year by focusing on technique, accessory movements, and proper movement patterns. She is currently enrolled in the Canadian Powerlifting Union's Level 1 Coaching/Instructor course so that she can better apply her knowledge to helping others in the gym become stronger and achieve things they never thought possible.